Fall is my Favorite time of the year the crisp air, apple picking, going to the pumpkin patch with the kids. Spending time with the family there is nothing better. 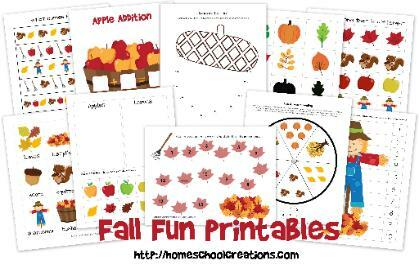 Here is a link to some great FREE Fall fun Learning unit printables.